Made up of lead singer Jack Williams, bassist Mike Flowers, lead guitarist Joe Connell and drummer Josh Betteridge, the Wild Front lads are taking the indie scene by storm. Hoping to bring "joy and wonder" to their sound, with songs like 'Rico', 'Physics' & 'Tumble Party', Wild Front are more than just your typical boy band. 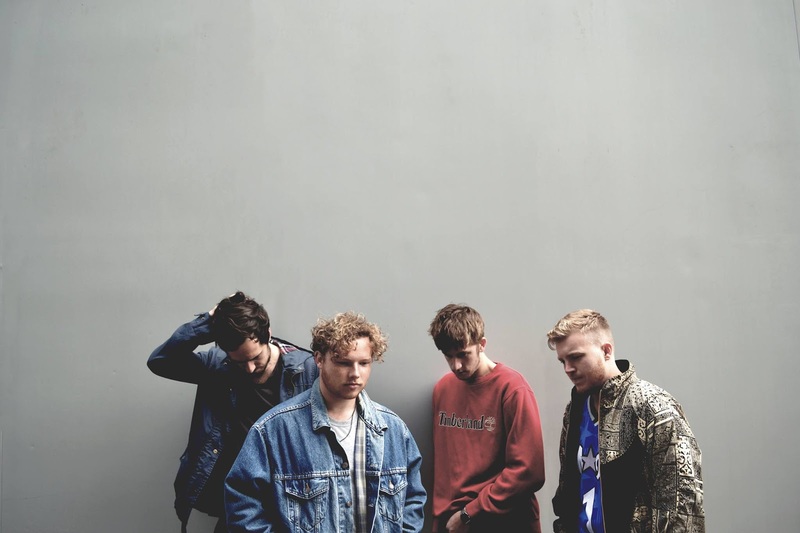 As the band gears up to play at this year's Boardmasters and Bestival, Josh lets us know about the group's latest single 'Physics' and why their upcoming EP will be "perfect for a summer evening by the sea." Give us a bit of background - how did the band come about? We’ve all been friends for a very long time, Joe and Josh are lifelong friends and Joe, Mike and Jack met at college. Jack (lead singer) used to play acoustic folk music, and the rest of us were his band, and one day we decided to start a new project because we all had a love for rock music. And that’s when Wild Front was born. So where does the name Wild Front come from? We played our first few shows under the name 'Tracy Island', (we’re massive Thunderbird’s fans), but after realising that ITV had the rights to the name we embarked on the long and gruelling mission of deciding on a new name. Wild Front was the name that stood out from our countless other ideas. Tell us about your new single 'Physics'? 'Physics' was one of the first songs we wrote as a band, and it’s got a real funky rock feel to it. It’s fun and bouncy, but with a slightly mysterious edge to it. It’s out now so make sure to check it out on Spotify and Apple Music. Your second EP is coming out in July, what can we expect? We’ve tried to create an EP that ties in our various musical styles. It’s dream pop, with a bit of rock and a funky edge to it. We’re really excited to get this bunch of songs out. Expect big guitar riffs and high moments as well as plenty of mellow, ambient moments, perfect for a summer evening by the sea. What messages would you like to get across in your music? We want to give across a sense of ‘joy and wonder.’ In whatever shape or form that is. Music can always bring joy, and we hope we can do that with our songs. If the world only knew one of your songs which one would it be? It would probably be 'Physics'. It’s the song that encompasses most of the range of our style. It’s funky in the verse, has an atmospheric, dreamy chorus, and a heavy rock vibe in the outro. You get a sample of the 3 main elements of our sound in one song. What does Wild Front bring that's special? Between the 4 of us, we have such a wide range of musical influences, from folk, rock, hip hop and rnb, and we bring that all together in our songwriting. We also have a common love for 70’s rock bands and live music, so a big part of our music is how it comes across in a live situation. Guitar solos, big instrumental sections and a range of live dynamics is something we really cherish. What would you do to make the world a better a place? Give out Bon Iver albums to everyone. Or put more football fixtures in place so that the football season is all year round. What would you feel a swimming pool with if it could be anything? 2 of the 4 of us are vegans, so we have become a bit obsessed with hummus. A swimming pool of hummus will get us through a few shows. Or maybe a swimming pool full of Oreos. We’d all be happy with that. So what's next for Wild Front? We’ve got a busy summer of festivals ahead of us, including Boardmasters, Bestival and much more. We want to get out and gig as much as we can, and continue to put out as much music as possible. Junction 2 back and bigger with an extra day!